"Policy Brief: Compensation of Early Childhood Teachers: What Value do " by Kathy Thornburg, Helen Raikes et al. Policy Brief: Compensation of Early Childhood Teachers: What Value do we Place on Young Children? 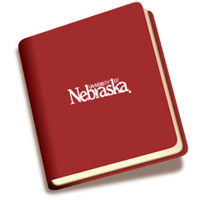 Published by Midwest Child Care Research Consortium • Center on Children, Families and the Law, University of Nebraska-Lincoln. In 2001, university researchers and state program partners in four states (Missouri, Iowa, Kansas, and Nebraska) initiated the Midwest Child Care Research Consortium (MCCRC). The focus of the Consortium’s work is to conduct a longitudinal study on a range of issues associated with early childhood program quality and the workforce. Across the four states, a random sample of 2,022 child care providers participated in the study representing licensed infant, toddler, and preschool centers as well as Head Start and Early Head Start programs, license-exempt centers, and licensed and unlicensed family child care homes. In Nebraska, 508 providers participated in telephone interviews and 85 of those programs were randomly selected for an observational quality assessment. The purpose of this policy brief is to present findings relating to child care provider compensation and benefits in Nebraska and the relation of these to quality.